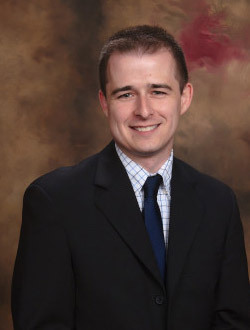 Dr. Patrick Crowley is a long time resident of the Oklahoma City metro area. He is a graduate of the University of Oklahoma College of Dentistry. Dr. Crowley received his B.S. in Biology from the University of Central Oklahoma. After graduating from dental school he decided to further his education by completing the AEGD residency program at OU. It was this program that allowed him to gain valuable experience in placing and restoring implants, cosmetic dentistry, and tackling very complex cases. Dr. Crowley is a member of several professional organizations including the Oklahoma Dental Association, American Dental Association, and Academy of General Dentistry. Dr. Crowley is constantly improving his knowledge and skills by taking the most up-to-date continuing education courses. In his free time, Dr. Crowley enjoys spending time outdoors and cheering for the Sooners and Thunder. Cosmetic dentistry has advanced by leaps and bounds over the years. Gone are procedures that deliver substandard results. Now, almost anything can be accomplished with the right technology and know-how. We use the latest technology, and our dentist is thoroughly trained in the latest techniques. That, combined with our unwavering commitment to you, results in an experience that’s unlike any other in the cosmetic dentistry field. You will immediately feel at-ease, and our initial consultation will help you map out a complete cosmetic dental plan that achieves superior results.